Join us on Sunday, December 18 at 4:00 PM for a Service of Lessons and Carols for Advent presented by the St. Paul’s Choir with the Bells of St. Paul’s. Minister of Music, Rusty McKinney leads both ensembles in music for the season. 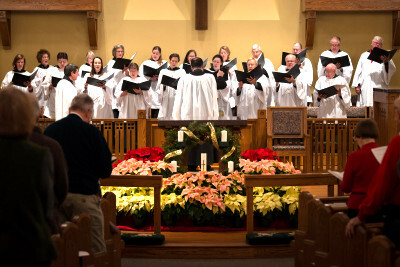 Music by George Frideric Handel, John Rutter, Bob Chilcott, Carson P. Cooman and others reflect and enlarge upon themes presented in nine scriptural readings. St. Paul’s Organist, Joanna Li, is featured on organ and piano. Calling mothers of high school juniors and seniors and college freshmen. With the second semester about to begin, are you dealing with junior burnout or senioritis? Did your college freshman come home for winter break having forgotten how to call if he wasn’t going to make dinner or if she was going to be out late? Then join us for MOMS College Conversation on Tuesday, January 17, 2017 at 7:00 PM. Continue reading for details.